XLVII, 455 p., 20,8 x 29,0 cm. It is the collections of Greek manuscripts in London, Oxford and Wolfenbüttel which stand out among all others. As far as the 16th and 17th century are concerned, these are surpassed by the collection of Greek Bibles in Stuttgart. This is due to Josias Lorck‘s and Georg Wolfgang Panzer’s passion for collecting. 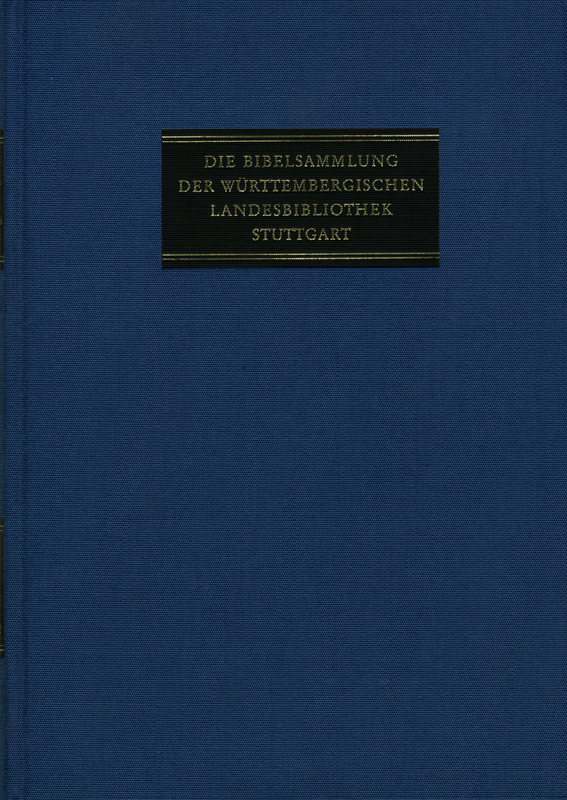 Among the editions which were added later are almost all the personal copies of Eberhard and Erwin Nestle with corrections they made.